The True Green Alliance is a non-government and non-profit organisation that promotes caring for the earth and sustainable living practices throughout the societies and governments of southern Africa. It supports the sustainable use of living resources, and fosters the correct social and official government attitudes towards wildlife management. 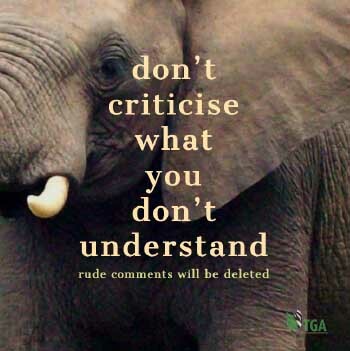 To create a southern African (ultimately global) society that is properly informed about the principles and practices of wildlife management; that understands the wisdom of, and necessity for, the practice of sustainable utilisation of living resources (both wild and domesticated) for the benefit of mankind; that supports animal welfare; and that rejects animal rights – the doctrine of which seeks to abolish all animal uses by man. 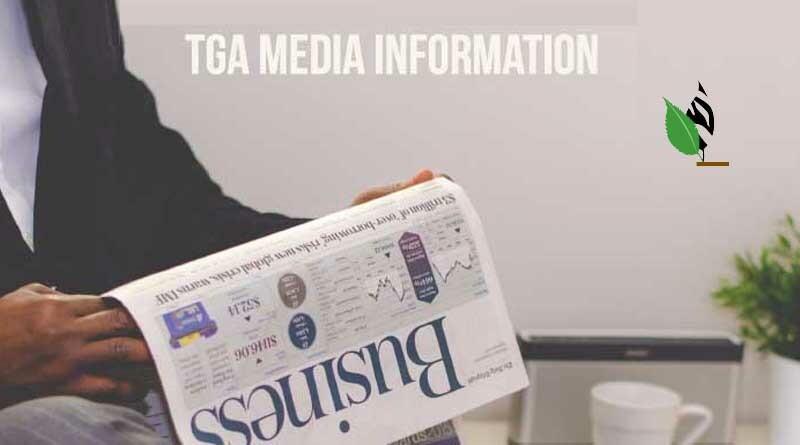 To educate society on all aspects of the TGA vision. To field a trained and responsible team of TGA experts that will constantly counteract animal rights propaganda; that will reverse pro-animal rights perceptions within society and government; and that will purge society of the pernicious scourge of animal rights activism. To create a strong, broad-based, credible and respected alliance of individuals, businesses, other NGOs and organs of government, that are involved with the management of living resources; and that, collectively will constantly strive to achieve the TGA’s mission. Considers the application of honest science to be the only vehicle that can provide mankind with an understanding of the natural world; and that can provide the information necessary for mankind to develop rational and effective methods to manage our living resources (both domesticated and wild). Recognises the intrinsic value of all our living resources and their importance to humanity, and we believe these resources, and our people, should be looked upon as a single, integrated and ecological-cultural-economic complex. Third – for the good care and sustainable ‘wise use’ of all our animals – in that hierarchical order of priority. Supports the scientifically determined control of wild animal population numbers (by way of organised population reduction, culling and/or harvesting practices); and it supports and promotes regulated hunting, trapping and fishing (both recreational and commercial) provided those practices are sustainable. Believes that people have the right to pursue either consumptive or non-consumptive uses of their privately-owned wildlife (wild plants and animals) – as they see fit – provided such use is sustainable. Is concerned that foundational elements of the animal rights philosophy contradict the principles of successful wildlife management practices, globally; and that they promote false choices within society regarding desirable current and potential human-wildlife relationships. The animal rights lobby also creates false expectations for wildlife population management, and erodes society’s confidence in decades of knowledge gained from extensive scientific exploration of wildlife management practices, and the management of wild habitats. The cornerstones of the TGA’s philosophy are modelled on the provisions of the World Conservation Strategy – 1980 (WCS). This protocol was declared, at the time of its promulgation, to be the official mission statement and the principle policy, of the International Union for the Conservation of Nature and Natural Resources (IUCN). In 1980, the WCS was hailed by world society as being the blue print for the symbiotic survival of both man and nature on planet earth. After the promulgation of the WCS, all those responsible sovereign states, who were members of the IUCN at that time, obligated themselves to model their National Conservation Strategies (NCSs) on the WCS template; and to write its provisions into their national laws. South Africa was one of them. To ensure the sustainable utilisation of species and ecosystems (notably fish and other wildlife, forests and grazing lands), which support millions of rural communities as well as major industries. The TGA recognises the importance to mankind of our societies embracing, and of our governments achieving, all three of these objectives. It shall be TGA’s purpose to promote and support the attainment of these objectives in everything that we undertake; and to oppose, and to expose all activities that might render them beyond our reach. The TGA believes that the WCS still represents a blue-print for the survival of both mankind AND nature on planet earth and that our publics-at-large, and our governments, should be encouraged to continue to embrace this opinion. The TGA recognises and supports the legitimacy of all those true elements of what society euphemistically calls The Green Movement (or The Greenies) – including TRUE environmentalism and TRUE animal welfare-ism. There is a third component, however – animal rightsism – the ideology of which we believe has no place in any civilised and responsible society. TRUE Environmentalism is a doctrine that strives to ensure that the environment in which we all live remains in a habitable and healthy condition. The TRUE environmentalist believes in and supports all three objectives of the WCS’s living resource conservation ethic. True environmentalism, therefore, works for both the benefit of mankind and in the best interests of all other living resources (plants and animals) on planet earth. We believe that every person on this globe, therefore, should be a TRUE environmentalist because to be anything else is suicidal. TRUE Animal welfarists also believe in, and they support, all three objectives of the WCS’s living resource conservation ethic – with provisos. They insist that when man uses a LIVE animal for his own benefit (such as using an ox to plough a field; or a donkey to pull a cart), the animal must be treated humanely; and that when man kills an animal to obtain benefits (such as slaughtering a beast to obtain meat to eat), such killing must be conducted without cruelty. TRUE animal welfare organisations, therefore, oversee man’s civilised standards in his treatment of the animals that he uses. For this reason, they deserve society’s support. Animal Rightists reject the WCS entirely. They are particularly opposed to the third principle of the living resource conservation ethic and, because of this, they are easily identifiable, and separable, from environmentalists and animal welfarists. Animal rightists are fanatical in their belief that man has no right whatsoever to use an animal – ANY animal – for his own benefit – in ANY way. They believe that animals – both domesticated and wild – have the same right to life as have human beings. And they insist that man should eat nothing but vegetable foods. NB: Animal rightists cannot achieve their objectives without violating the legitimate rights of other people. The TGA identifies animal rightsism as the biggest obstacle to the attainment of WCS & NCS goals everywhere; and we understand, unequivocally, that the healthy status of wild animal populations, wild habitats, and biological diversity is adversely affected whenever and wherever the animal rightists have been able to successfully interfere in wildlife management principles and practices. Therefore, the TGA will concentrate on stopping any new inroads that the animal rights movement tries to make, and on reversing the successful advances it has already had, on the thinking and on the practices of our governments and civil services, and on the hearts and minds of our society – particularly our urban society. The animal rightists are fundamentally and diametrically opposed to what the animal welfare organisations are striving to achieve. They claim that the animal welfare doctrine is the biggest stumbling block to the attainment of their animal rights objectives; and they very clearly, and very forcibly, identify their differences. The animal welfare ideology, the animal rightists say, is aimed at regulating man’s use of animals thereby legitimising within our social psyche, the idea that animals can and should be used for the benefit of mankind; whilst the animal rightists purpose is to abolish man’s use of animals (in every dimension). BECOME A TGA MEMBER. All intelligent, responsible and nature-loving people in society should support the TGA. Helping the TGA to succeed is the only way to ensure that there will still be wild animals, wild plants and wild places in this world when our grandchildren’s’ grandchildren have replaced you and me on this planet. And donate whatever you can. We have an ambitious programme and every little bit will help! Contact Ron Thomson, the TGA’s CEO. ← Kruger Park’s biological diversity is in serious trouble! Part 1.